Here is the step by step tutorial, how you carry out medical checkup in Martin. Schedule an appointment – you must schedule an appointment min. 1 week before. Call to clinics or write them email. You can find contact details below. Going to Martin – in case you start in Kosice, take night train. Centre is open only 7:00-12:00 on Tuesday, Thursday and Friday, so you must be there early morning. 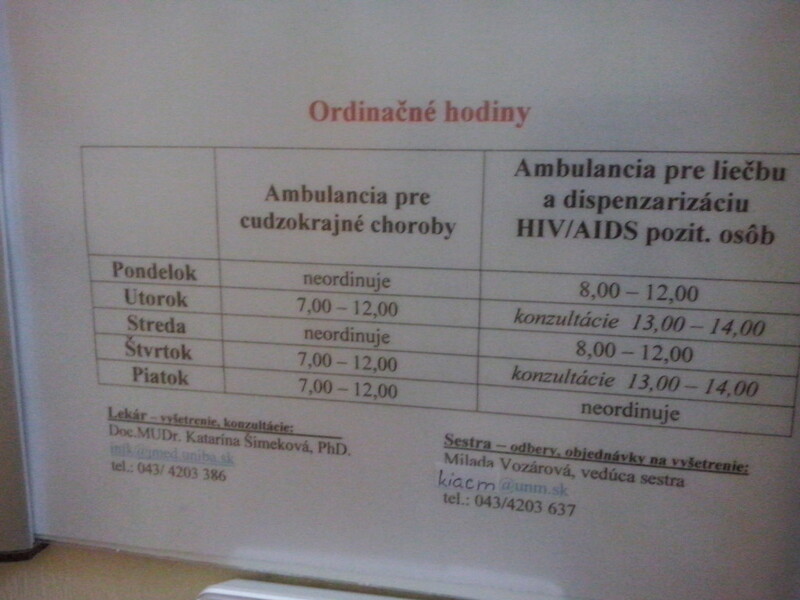 If you arrive by train, take a following route to the hospital (Univerzitná nemocnica Martin). It is only 9 minutes by walk. Enter the last door at Pavilon 5. 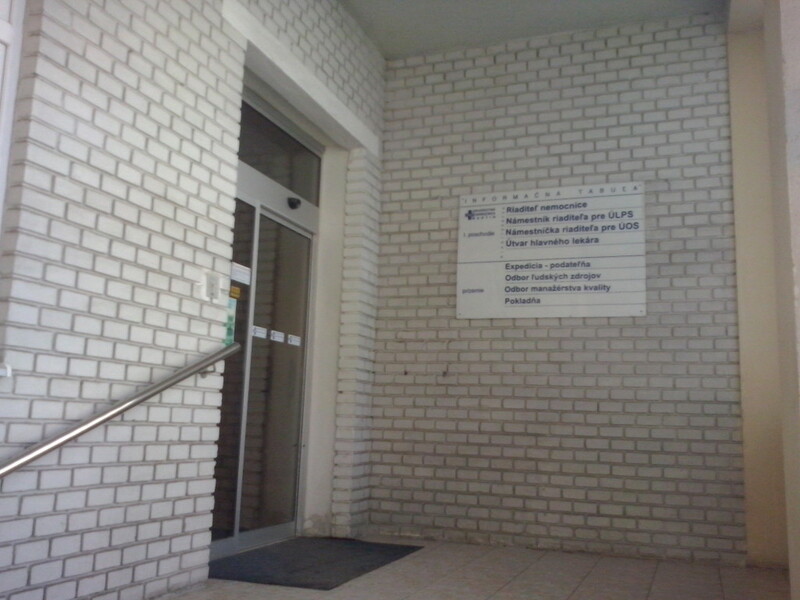 You need to find Oddelenie cestovnej medicíny (Department of travel medicine). Door will look like on the picture below. Do not forget to ring a bell. The first procedure will be the examination of the colon. You will get instructions how to give a sample. After that they will take blood sample. It will be only small amount. Drink some water before and after. Do not eat fat food before. You will now got 2 papers – first paper is needed for X-ray examination and second paper is for payment of checkup. You will get them from nurse at the ambulance. 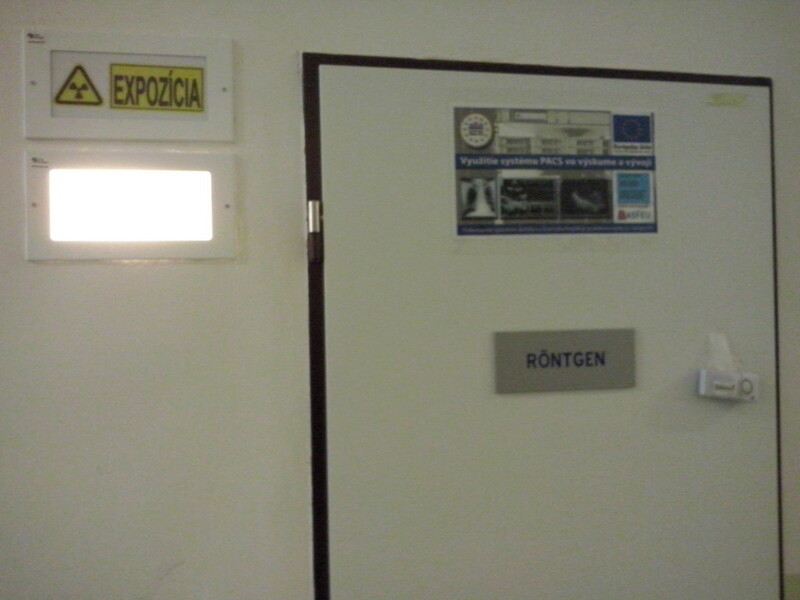 In the next step, you will be send to Rontgen (X-ray department). When you go out of the building, turn right and enter the second door. There is an elevator inside. 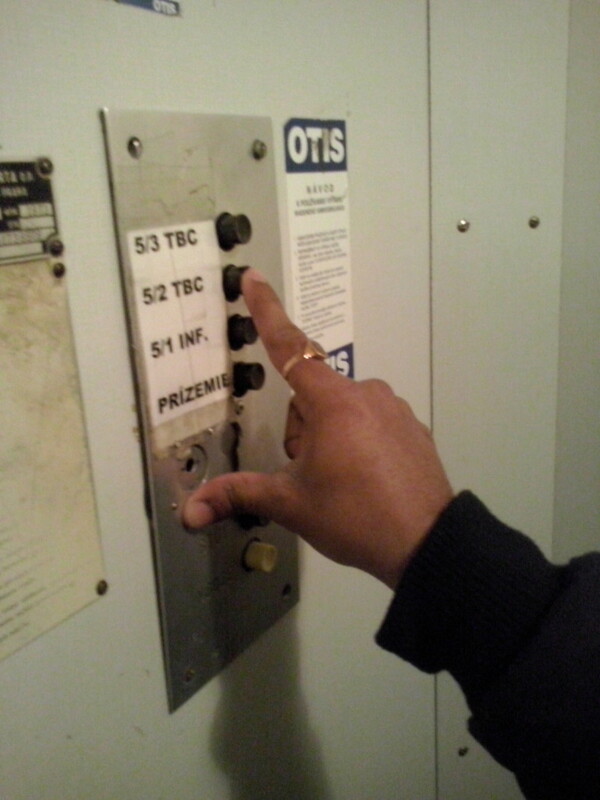 Enter the elevator and press 5/2 button. Go out of elevator and turn right. You will find following doors. Wait for nurse / sister and give her paper you got at ambulance. You will be called by sister. She will perform X-ray test. For that you need to take off your sweater, jacket and T-shirt. Pay the amount and go back to ambulance. 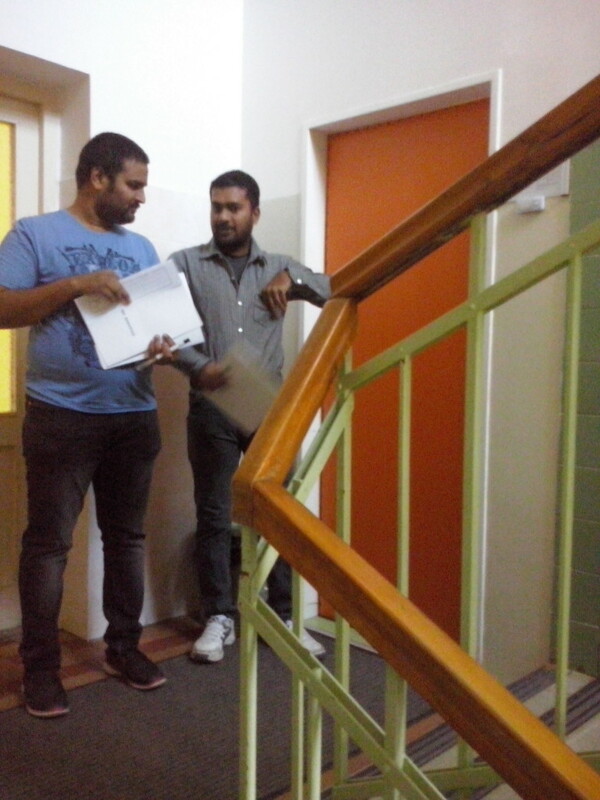 Give them receipt of payment and get document you need to submit at Pavilon/ Building No 6. It is on the opposite side of Pavilon 5. You will collect there results from X-ray checkup. 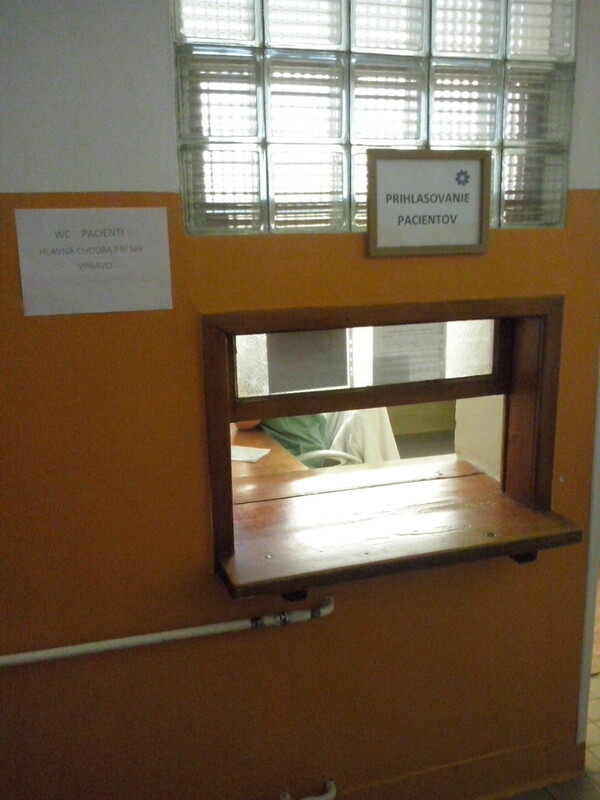 Give paper to the following counter and wait for 10 minutes. You will get results in a paper form and take them back to the ambulance. Thats it! 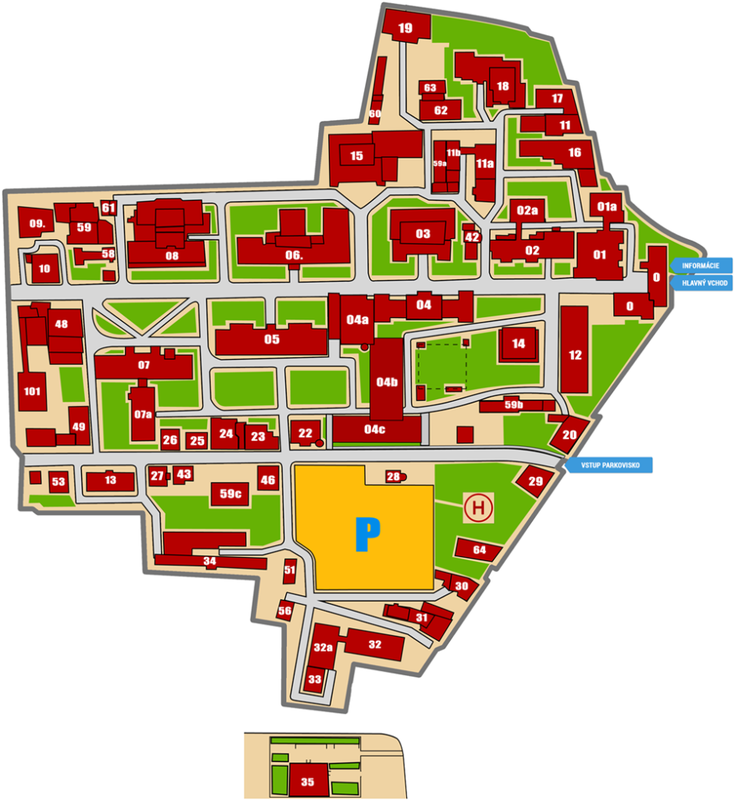 You can give nurse your address where you wish your results to be sent.